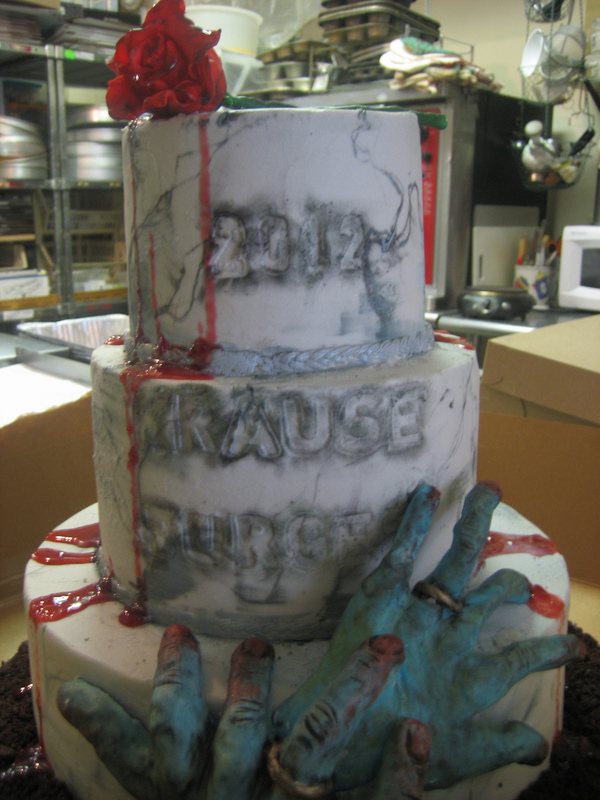 I believe it was zombie Marie Antoinette* who once declared, "Let them eat cake made from braaaaaains." 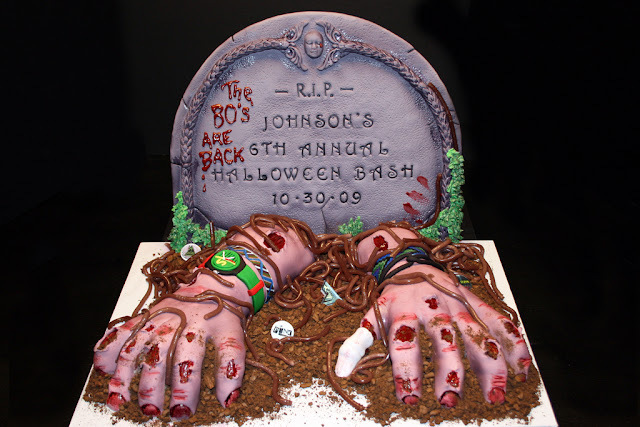 But, since most of you aren't shambling revenants, I figure you'll appreciate undead cakes made out of flour, sugar, and butter instead. 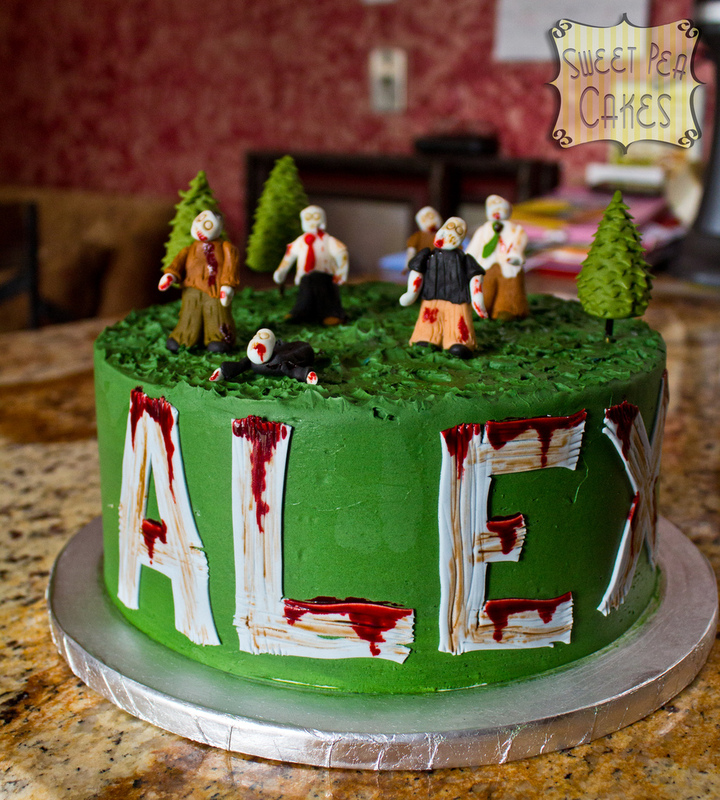 So, without further ado, here are six more sweet zombie cakes fit for celebrating the apocalypse! *Of course she was a zombie! Why else would they have beheaded her? French revolution? Pffft. Swatch watches, friendship bracelets and worms! These are creepily awesome, but I think the most horrifying cakes I've seen on Cake Wrecks have been the baby shower ones. I can't unsee them. Since I can't suffer alone here's link. 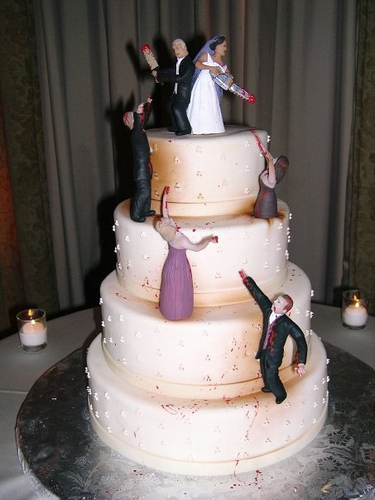 I dare you to see the last cake. Make that double-dog dare you. Who would actually order a cake like that for a baby shower? Deliciously wrong and awesome. 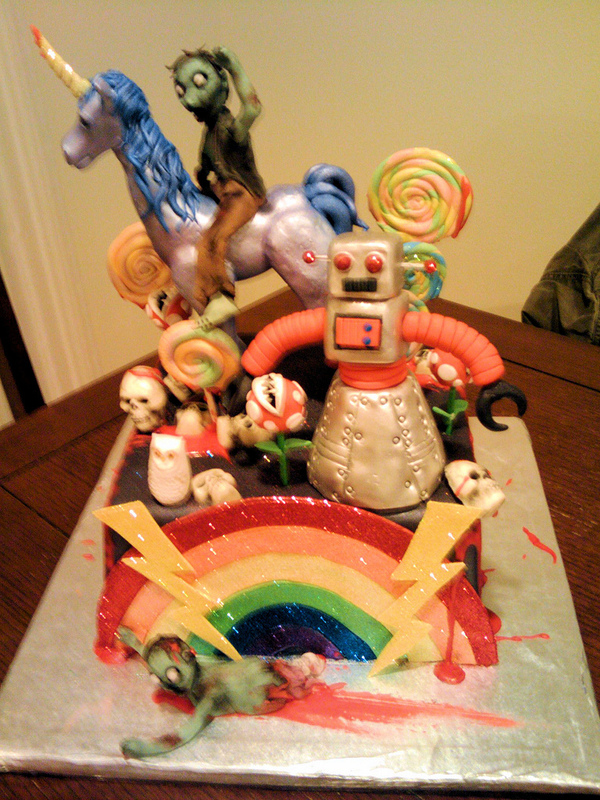 The Threadless competition always generates amazing cakes but somehow I managed to have missed that one before. 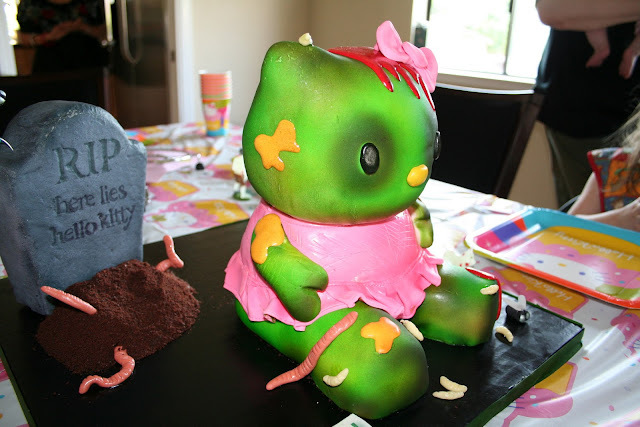 And the nasty maggots on the Zombie Hello Kitty are horrible and wonderful! Thanks, Kimberly! That one was my favorite from least year. Which reminds me, you might like our post about the best scifi & fantasy cakes from last year.